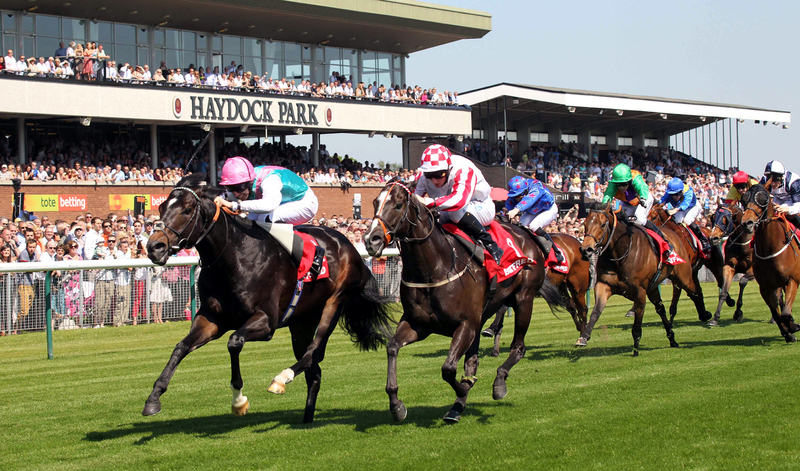 The 2K to 10k Betting challenge continues on Saturday from Haydock Park, with the feature race the group three John Of Gaunt Stakes . The betting bankroll stands at £2506 (+£506.00) Stakes remain at £100.00.Been bit of frustrating run since middle April ,with plenty places though no winners,including the last bet Invincible Army getting beaten nose in Sandy Lane stakes at Haydock . Hopefully June will be better month, with Royal Ascot just round the corner .Moving on to Saturday we have good quality group three contest from Haydock . 8 runners declared for the 7 furlong John Of Gaunt Stakes at 4.00 on ground described as good/firm .The three main contenders are Dutch Connection , Emmaus & Tabarrak . DUTCH CONNECTION : 6-Y-0 Bay Gelding ,winning 5 out 23 ,including winning four group races .Had some fair form last season,including winning G3 Supreme Stakes at Goodwood in August.Made creditable reapperance,finishing good fourth in G1 Lockinge Stakes at Newbury last month .Solid claims returning to G3 company. EMMAUS : 4-Y-0 Bay Colt ,winning 3 out 4 .Lightly raced sort ,though shown progressive form ,including winning listed race at Leicester last time on heavy ground .Looks open to plenty improvement after just four starts ,though unproven on fast ground (All three vicories on good/soft or heavy .Interesting contender ,though there has to be question mark on very quick ground . TABARRAK : 5-Y-0 Bay Gelding ,winning 5 out 13 ,winning three Listed races in 2017/18 ,including winning the listed Spring Trophy stakes over C&D at Haydock last month under 3lb penalty.Back Up in class ,though only beaten neck in G3 Sovereign Stakes last season .Should go well . VERDICT : Only 3lb between the three main contenders on official ratings. Course & Distance winner TABARRAK looks to have most in his favour.Has an excellent record over 7 furlongs on fast ground (11921212).Returns to group company,though there was nothing wrong with neck second to ill fated (118 rated) Ballet Concerto, on his only career start in group company last season .Odds around 7-2 look solid each-way value . Dutch Connection looks big danger,after finishing good fourth in Lockinge Stakes at Newbury behind Rhododendron ,though apart from winning Supreme Stakes ,never really threatened in G1 & G2 races last season.The return to G3 company over 7f will suit,though odds around 2-1 look short enough . (THIRD SP 3-1 LOSS £100.00 ) Non runner Emmaus 7 ran .